Together at last. Under the pseudonym Richard Stark, Donald E. Westlake, one of the greats of crime fiction, wrote twenty-four fast-paced, hard-boiled novels featuring Parker, a shrewd career criminal with a talent for heists and a code all his own. With the publication of the last four Parker novels Westlake wrote—Breakout, Nobody Runs Forever, Ask the Parrot, and Dirty Money—the University of Chicago Press pulls the ultimate score: for the first time ever, the entire Parker series will be available from a single publisher. 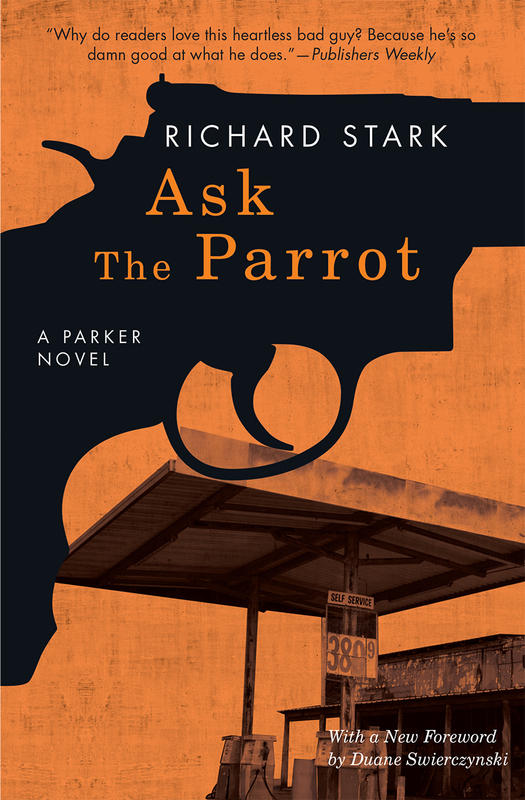 In Ask the Parrot, Parker’s back on the run, dodging dogs, cops, and even a helicopter. Forced to work with a small-town recluse and a group of fools at a gun club in rural Massachusetts, Parker focuses on getting the cash and getting out. It'll be a deadly day at the races. Featuring new forewords by Chris Holm, Duane Swierczynski, and Laura Lippman—celebrated crime writers, all—these masterworks of noir are the capstone to an extraordinary literary run that will leave you craving more. Written over the course of fifty years, the Parker novels are pure artistry, adrenaline, and logic both brutal and brilliant. Join Parker on his jobs and read them all again or for the first time. But don’t talk to the law.